When is the Best Time to Apply to FNU? FNUAdvisingWhen is the Best Time to Apply to FNU? In short, it is never too late to apply to Florida National University (FNU). However, it is most beneficial for prospective students to apply for admission as soon as possible. There are many steps that must be taken when applying to a college or university. We understand that most students are eager to start their education, but if one thing is missing from your application, it could delay the admissions process, thus setting back your enrollment. That’s why it’s important to start the college application process the moment you consider furthering your education. FNU offers a day of orientation for new students before each semester starts. This gives newcomers the opportunity to get familiar with our school so they will feel comfortable navigating from one classroom—or campus to another if necessary. So ideally, the absolute best time to apply to FNU is before any of our orientation sessions start. Our next orientation is scheduled for Thursday, April 28 at our South Campus in Miami, and Friday, April 29 at our Hialeah Campus to kick off the 2016 summer semester. This is usually the most popular time of the year for new students to enroll as the majority might choose to spend their summer vacationing. As a result, the campus may not be as busy during this period. As there is a recommended general time period for college enrollment, students are welcomed to start the admissions process at anytime. We have summer, fall, and winter semesters consisting of two 8-week terms where students can begin their college education. FNU also realizes that people begin their college career during different times in their lives. That may mean for some individuals, there might be other convenient times for them to apply to FNU. We’ve taken this into careful consideration and addressed the following application periods, along with some academic opportunities that might better apply to certain students. As it is never too late to apply to college, it can never be too early either! High school students can start preparing for college as early as their junior year. There’s a lot that goes into a college application, so starting this early isn’t unusual, although the majority of high school students may start this process in their senior year. Here’s one way to look at why a high school student should start their college application process so soon: The quicker one begins college, the faster he or she can graduate and start the career of his or her dreams! FNU offers great academic opportunities to help high school students get a jump-start on their college career. Students in their junior or senior year are eligible for FNU’s Dual Enrollment Program. 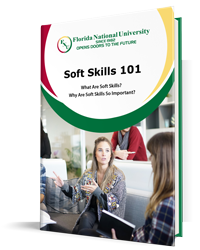 This curriculum offers exceptional high school students with a 3.0 GPA or higher to take college courses before they graduate from high school. The applicant must maintain at least a 3.0 or better for the first two years of high school. The applicant must provide a letter of parental permission as well as a letter of recommendation from a high school teacher or counselor. The applicant must undergo an interview from the FNU campus dean. Submit a $50 non-refundable deposit fee along with the application. For more information about the Dual Enrollment program, visit FNU’s webpage here. New graduates who have just received their undergraduate degree might want to continue their education with a master’s degree. For FNU undergraduates, there is still an application process, so it is highly recommended to consult your guidance counselor for assistance in preparing the materials needed for your master’s program. It is not uncommon for graduates from their fledgling colleges to seek out an accredited university that offers master degree programs. FNU’s master’s programs generally follow in conjunction with the other programs’ calendar at FNU. To view a list of FNU master’s programs along with their admission requirements, visit the online academic catalog here. It is possible to switch colleges, especially if you want to move to an area that is more tropical! FNU is located in South Florida with campuses in Miami and Hialeah—one of the most diversely populated areas in the state. Here, Spanish is the second-most preferred language, English being the first. FNU is the perfect school for students who are looking to immerse themselves in rich culture and is most appealing for international students. FNU does admit students from other colleges and may possibly accept course credits from another accredited institution. Current students who are looking to transfer to FNU should have their most recent transcripts ready to submit along with the application. 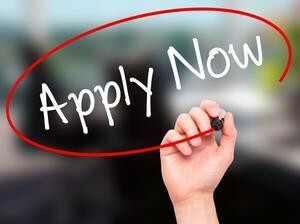 If at all possible, try to complete the application process before one of the orientation dates. FNU understands that the schedule for non-traditional students can be demanding and adding an academic calendar to it makes it all the more challenging. That’s why we also offer online courses that might appeal to non-traditional students. To learn more about FNU’s online courses, read “Understanding Online College Degree Programs” here. For students interested in earning their college degree 100% online, the time to apply to FNU can be anytime they’re ready. FNU accommodates all applicants to ensure a smooth transition into a new career. We understand that life’s demands can take top priority. Our admissions staff is ready to guide you through the admissions process at a pace that is comfortable for you whether you are a new student or transferring from another institution. We will do our best to organize the admissions process so that your application is completed before orientation, but you must act quickly! Call the admission’s office at any of our campus locations to start your academic career at FNU today!